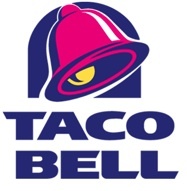 Taco Bell are pleased to announce that it has successfully negotiated the purchase of the famous National Treasure, which henceforth will be renamed to The Taco Liberty Bell. While we appreciate that some will find this controversial, we believe it is an important patriotic gesture on our part and we hope that our action will prompt other corporations to take similar adoptions to reduce our country’s debt. Though somewhat distasteful to many readers the statement presented logic, particularly as Taco Bell helpfully also explained that companies had been adopting highways and roundabouts for years and that purchasing a National Treasure was a natural progression of the idea. Literally thousands complained to the Philadelphia National Historic Park, where The Liberty Bell stood, and, by noon Taco Bell issued a statement admitting what many had already suspected, that since it was April 1st, it was an elaborate April Fool’s joke. Over 600 print media outlets and 400 Broadcast outlets gave the ‘joke’ airtime, reaching an estimated 70 million. The company enjoyed a revenue surge of $500,000 in a single day and $600,000 surge the following day, compared to the previous week.